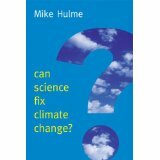 Mike Hulme’s new book against geoengineering is going to come out soon and it has already been reviewed in Nature. I’ve linked to debates between Mike and David Keith before on geoengineering and am looking forward to reading the sustained argument he no doubt makes in this book. This is especially the case since about a year ago I worked on my first take on the governance aspects of geoengineering with respect to how we imagine our place among other earth systems in the Anthropocene. That work is set to come out tomorrow as a chapter co-authored with Peter Brown in the annual State of the World report published by Island Press. Here is a recent talk by Karen Scott, that draws on this recent article (pdf) and which focuses on some of the normative challenges geoengineering poses for the anthropocene. I have a few posts on geoengineering lately (Hamilton’s new book, Earthmasters, an upcoming workshop, and on competing views). I thought I would add this recent essay to the mix on 20 reasons geoengineering may be a bad idea [PDF]. 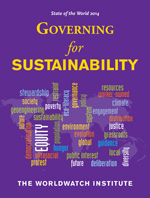 An interesting aspect of the essay is an inserted text box on the ethics of geoengineering. This normative dimension was of interest to me because I’m finalizing my latest book chapter this week on the topic of ethics, governance and geoengineering in the Anthropocene. It will be out next year and I’ll have more details then. Approaching geoengineering from within the Anthropocene requires considering the broader view of the world that legitimated (I would argued that required is more accurate) a wealthy minority of humans taking such a disproportionate and large share of the earth’s life support systems. It also requires confronting the idea of Nature held in that troublesome view. On this, Ursula Heise has a new essay on that thing formerly known as Nature. You can read it here. I’ve posted a bit about geoengineering before (here) and have mentioned Clive Hamilton’s new book Earthmasters here. Clive had an interesting post on his website recently about how geoengineering requires conceptualizing the earth as a whole and what Heidegger may have to say about that. And this got me thinking about how geoengineering is not a Plan B just in case global climate negotiations fail. Rather, geoengineering is more of Plan A – a way to keep us from challenging the basic ways of living that have led us to the (perceived) need for geoenginnering itself. As Tim points out, it keeps our understanding of the “world” safe by continuing to subdue the earth. The event will also be streamed online at http://www.livestream.com/climatenexus. Up until recently, climate change geoengineering, defined by the UK’s Royal Society as “the deliberate large-scale manipulation of the planetary environment to counteract anthropogenic climate change,” was viewed as outside the mainstream, or as Professor David Victor has put it less charitably, “a freak show in otherwise serious discussions of climate science and policy.” However, the feckless response of the global community to climate change ensures that temperatures are likely to rise to levels during this century that could have potentially catastrophic implications for human institutions and ecosystems. This had led to increasingly serious consideration of the potential role of geoengineering as a potential means to avert a “climate emergency,” such as rapid melting of the Greenland and West Antarctic ice sheets, or as a stopgap measure to buy time for effective emissions mitigation responses. This roundtable will examine the ethical, legal and political issues associated with climate change geoengineering research and development and potential deployment. I’d like to contrast two views of geo-engineering – of trying to secure a technical fix that would solve, or at least stem, significant climate change. Several ways of doing this are proposed, such as sucking carbon dioxide out of the atmosphere and burying it deep underground in empty aquifers. Or pumping up sulphates into the high atmosphere where they will reflect sunlight back to space – similar to when a volcano erupts. A few months back I mentioned Clive Hamilton’s new book, Earthmasters. . Clive recently wrote this piece in the New York Times and gave this interview at Democracy Now. I bring up these two views because an article was recently published in Science that suggests sulphates are not as well understood as previously thought. Here is a lay summary of the article.